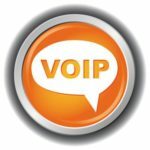 One of the advantages of a VoIP plan is that it comes loaded with extra features that traditional phone plans charge extra for. 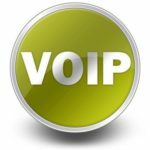 VoIP is able to deliver users more features because the phone traffic is handled over the Internet, instead of standard PSTN phone lines. 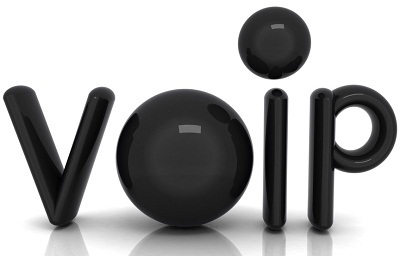 Just like the Internet opens up the world of communications for your business by providing you with several inexpensive communications options, so too can VoIP give your business more communication features that will let you do more for less. Whenever you call a large company, you know that someone is going to answer the phone. This might not be the case for small companies that are trying to operate with a small staff and are often being pulled away from their desks. VoIP comes with a great feature called “Find Me, Follow Me.” This feature will guarantee that the phone will ring for whoever the caller is trying to reach. Some VoIP vendors will refer to FMFM as Call Hunting because VoIP will literally hunt you down if you are away from your desk. This is done by adjusting your VoIP settings so that when your phone rings and no one answers, VoIP will next call your cell phone. 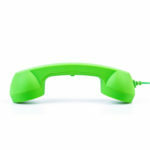 If your cell phone goes unanswered, then your home phone or any other number that you have entered will ring. Meanwhile, the customer is unaware of the call transfers; and when you answer your cell phone from a trade show, the caller will assume that you are sitting at your desk. Every business can benefit from audio and video conferencing. Even a small business will have team members spread out over different locations and will need to gather their troops for a meeting. There was a time when teleconferencing seemed like a resource that only large companies with enormous boardroom tables and fancy suits could utilize; but thanks to Internet tools like VoIP, every-sized business can afford audio and video conferencing. VoIP conferencing even has unified communications capabilities that will enable meeting participants to exchange files, sync calendars, share one another’s PC desktops, and more. 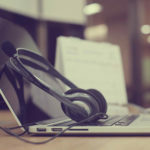 VoIP conferencing can provide your business with a totally immersive communications experience that will save employees travel time and make it seem like they are sitting right next to each other. Large and intimidating boardroom table not included. 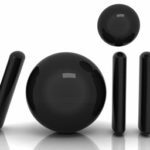 VoIP has an auto attendant feature that will answer the phone with a prerecorded message and then send callers to an automated menu directing them through your company’s department directory. You can even adjust the VoIP settings so that the auto attendant will play music while callers wait for the transfer to go through. Even if you only have 5 employees, using an auto attendant from VoIP will give your customers the impression that you have a staff of 50. To learn more about how VoIP can save your business money and give customers a professional impression, as well as communicate to them that you are big enough to handle their needs, then give Quikteks a call at PHONENUMBER.